I try to give away at least one print book every week! I've missed a few weeks, but Book Giveaway Friday is back! 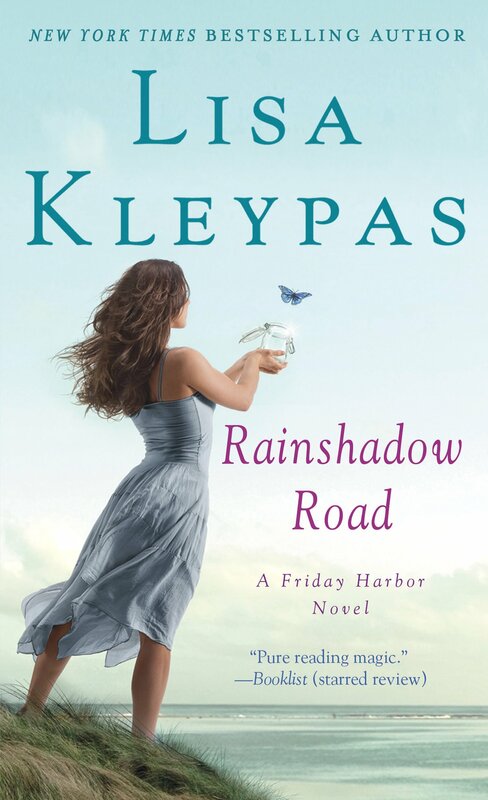 This week I'm giving away a signed copy of Rainshadow Road by Lisa Kleypas and All You Need is Love by Marie Force! Lucy Marinn is a glass artist living in mystical, beautiful, Friday Harbor, Washington. She is stunned and blindsided by the most bitter kind of betrayal: her fiancé Kevin has left her. His new lover is Lucy’s own sister. Lucy's bitterness over being dumped is multiplied by the fact that she has constantly made the wrong choices in her romantic life. Facing the severe disapproval of Lucy's parents, Kevin asks his friend Sam Nolan, a local vineyard owner on San Juan Island, to "romance" Lucy and hopefully loosen her up and get her over her anger. Complications ensue when Sam and Lucy begin to fall in love, Kevin has second thoughts, and Lucy discovers that the new relationship in her life began under false pretenses. Questions about love, loyalty, old patterns, mistakes, and new beginnings are explored as Lucy learns that some things in life—even after being broken—can be made into something new and beautiful. When Cameron Murphy heads to Vermont to build a website for a new client, she imagines a more relaxing trip than she gets. After wrecking her car by colliding with the town moose, she meets the most handsome hero she's ever seen. Unfortunately, her savior, Will Abbott, is also the son of her client--and he wants nothing to do with the new website or the city girl creating it. For all Will cares, Cameron can march her fancy boots right out of town and out of his family's business. But he can't seem to get her out of his head. As his family's dispute heats up, so does the chemistry between the two, leaving them wondering if simple is better after all--especially when it comes to matters of the heart. To enter, use the Rafflecopter!